Euro is trying to rebound from the trend line. If the bulls succeed, the pair will start a new ascending movement. 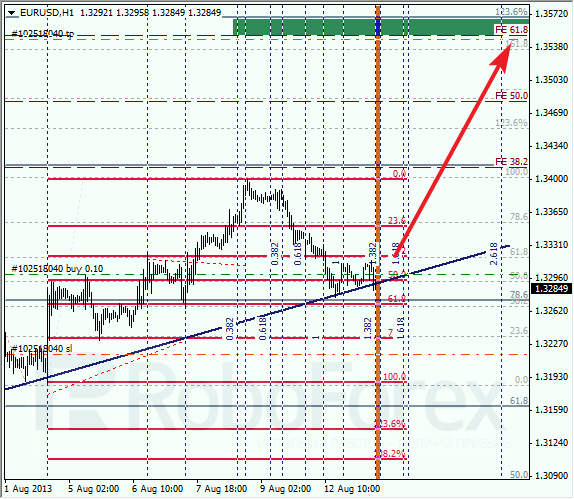 In this case, the target will be in the area between the levels of 123.6% and 61.8%. At the H1 chart, yesterday the price almost reached the level of 61.8%. Moreover, the temporary fibo-zone indicate a possible bifurcation point. If the pair rebounds from the current levels, I’ll increase my long position. Franc is still being corrected; however, the current trend is quite strong so far, that’s why there is possibility that the price may continue moving upwards. 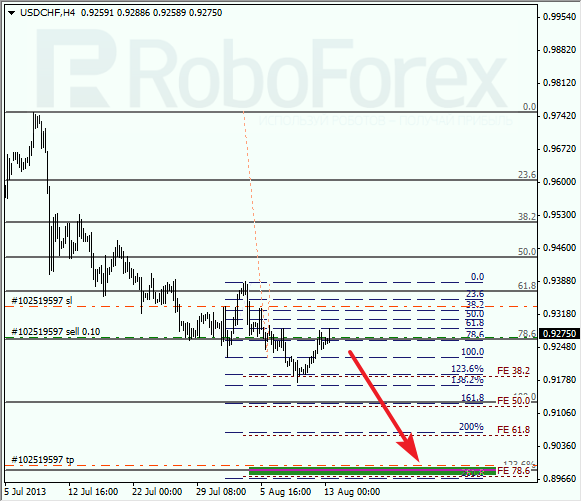 The target is at the level of 0.8980, where there are several fibo-levels. At the H1 chart, the pair reached the level of 50%. Moreover, the price is moving inside a temporary fibo-zone, which makes a possibility of a reverse even stronger. I’m planning to increase my short position as soon as the pair breaks a local minimum.